Is it better to use a booking engine or to book directly when booking a hostel? On every Google search for a hostel or holiday park anywhere in New Zealand you will be offered a multitude of booking options. In fact, travel bookings are in the top three of the most competitive search engine searches in the world. It is logical to assume that if there is such fierce competition, there is probably big money for those that succeed. But where does this money go and at what cost? And most importantly, which websites are you better off using to book hostels in New Zealand? In this article we will solely focus on accommodation booking, for activity bookings tips, please refer to our “What is the best website to book activities in New Zealand?” article. 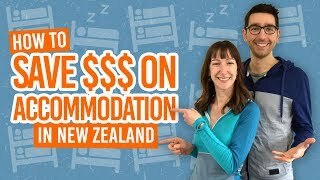 What are your options to book accommodation in New Zealand? By the way, if you’re new to hostels, see our What is a Hostel? A Beginner’s Guide to Backpacker Hostels. For many travellers looking to visit New Zealand in a short time, it is often easier to get yourself in front of a travel agent in your own country and book it all in advance, from flight to transport to accommodation to activities. Setting aside the obvious lack of flexibility that this “easy approach” offers, you are also planning your trip completely in the dark. Let’s be honest, your travel agent has probably never visited New Zealand and if they did, they probably only came for one short tour missing out on all the smaller hidden gems along the way. Travel agents also work through huge booking engines that accommodation providers have to pay to be on, so the offer that you are presented with is often only a fraction of what there is out there. Another thing to note is that the best and most popular hostels and holiday parks that provide an awesome service do not need to be on a travel agent’s shortlist leaving you without the option to choose from the top of the pile. book with somebody that speaks your language. There are more online travel booking sites than you can count around the globe, from the all-inclusive like Expedia to the very niche like Airbnb. The two main websites and apps used for booking a hostel in New Zealand are HostelWorld and Booking.com. With a booking engine, you are able to compare a wide range of hostels in a selected area (but keep in mind that there is never an town, city or area where all your options are listed. Many hostel owners are not listing their property on booking engines). The hostel listings also come with reviews from previous guests and some kind of rating. Booking engines also make it very easy to book a hostel often getting you sorted in one or two clicks. Finally, in many cases they offer great extras like no-fee cancellation up to 24 hours prior arrival. On the other hand, the commission paid by the hostel owner goes overseas, which over time can have a big impact on small businesses and New Zealand as a whole. For this reason many hostel owners only list a few of their rooms on a booking engine resulting in warnings like “only two beds left for that date” when in fact it only means that there are only two beds left in that very room, not in the whole hostel. Another thing to consider is that in the event of a double booking at the hostel or some other unforeseen circumstances that results in the hostel cancelling your booking, a hostel owner would prefer to cancel a booking made on a booking engine rather than the one of somebody who booked direct. Finally, when choosing a booking engine, make sure that their terms and conditions are fair. A cancellation policy should be reasonable and booking fees minimal or nonexistent. Accept nothing less or book direct (see below). want to quickly compare your options. Note that you can also book using New Zealand organisations like NomadsWorld, Base or BBH that offers deals on their own hostel online. Learn more about the New Zealand hostel chains in BBH, YHA, BASE or NOMADS: What is the Best Hostel Network? This is a “good guys'” approach. It guarantees that a hostel owner will get the most out of your booking, meaning the extra funds can be reinvested into improving the hostel’s services and refurbishing the facilities, for example. Most hostels have their own website with their own booking system. Booking directly with a hostel will also give you a better idea of what you are getting into as their website is a window into their hostel. Plus, since most hostels only list a portion of their rooms on booking engines, booking a bed directly with the hostel is the ONLY way for you to know if there is availability left on a specific type of room. Finally, when wanting to stay for an extended period of time, hostel owners will often offer you a discount that is only available when booking direct. For those hostels that do not have a website, try calling them directly. 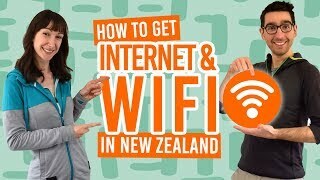 First, check Will Your Phone Work in New Zealand? want to support New Zealand businesses. For more booking tips, see Travel 101: Booking Direct Vs. Online Travel Agents Vs. Travel Agents.